Welcome to Whistler, and Sunpath at Stoney Creek! 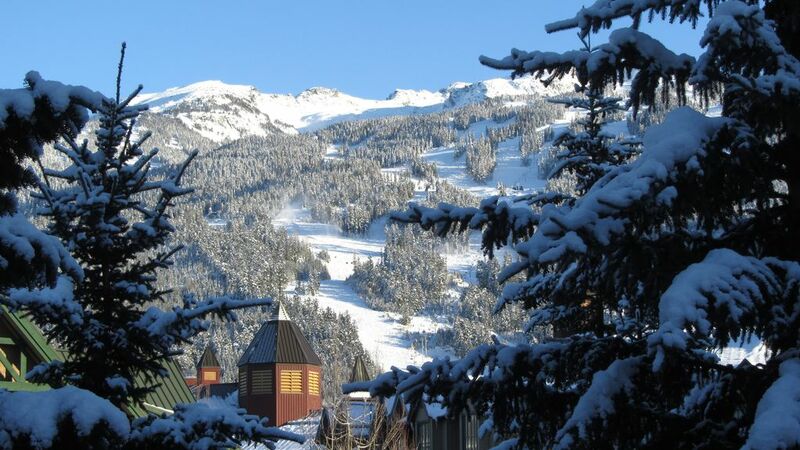 Whistler is the leading four season mountain resort in North America! Voted #1 Overall Mountain Resort (again) in 2017/2018 by SKI Magazine. Immense ski and snowboarding terrain to challenge your abilities. World-class terrain parks to thrill the snowboarders. Honoured to be the host mountain for the 2010 winter Olympics alpine sports. Moreover, Whistler village offers some of the best après ski delights in the world! Whistler doubles your fun by being a superb summer destination. Bright sunshine, hot days, cooler nights, fresh mountain air. Numerous glacial lakes nearby. World class golf courses. Miles of mountain and trail biking. Take a lift up the mountain, and treat yourself to a breathtaking ride on the Peak to Peak gondola. While on the top of the world, hike atop the high alpine meadows. Hiking heaven! And Sunpath at Stoney Creek is in the centre of it all! Close to both Whistler and Blackcomb base. Close to the infamous Village Stroll. Close to casual dining and fine dining alike. Close to the largest grocery store and the largest liquor store in Whistler. Close to the medical centre, heaven forbid that you would need it! Park the car all week for free in our secured, underground garage. You can walk from Sunpath to anywhere in Whistler. When it’s time to unwind, what better than to soak in the large Sunpath salt water hot tub! Adjacent to the shimmering waters of the salt water heated pool, the swimming area is a big hit in all seasons. Our Whistler home, Sunpath 27, is a 2 bedroom, 2 bath townhouse, well located with stunning views of Blackcomb Mountain from the master bedroom deck. Enjoy a glass of wine around the outdoor teak table while admiring the majestic slopes! 7 night minimum advanced booking, preferably Saturday to Saturday. Shorter stays of 3 or more nights may be considered on a last minute booking basis. Our availability calendar is up to date in real time. If you wish to book our home, please click the "Request to Book" button (yellow) at the top right corner of the page. Tyler Wells was born and currently lives and works in Vancouver, British Columbia. Walking distance to Village center, ski lifts, groceries, restaurants, nightlife, and shopping. Park your car in the secured underground and walk to everything! Upper floor views of Blackcomb Mountain. Includes a leather queen sofa bed and leather recliners. Samsung 55' LED Smart HDTV. Samsung Crystal-Air Smart Sound with subwoofer & Bluetooth Connectivity. Convenient tall tub, with easy soap dispense feature. New GE stainless steel refrigerator with slide out freezer drawer. Double oven with stove top. Italian Super-Automatic Delonghi Espresso Machine, Cuisinart Coffeemaker, and French Press. Beautiful light blue country cabinets, topped with black granite. All new GE Profile Stainless Steel appliances. Main terrace directly off the living room. Extra large upper terrace on 3rd floor, off the Master Bedroom. 500 meters to both Whistler & Blackcomb Gondolas! World famous golf courses within a short walk! Heated salt water pool open year round! The vacation home was very nice and the owner was great. Would highly recommend. We had an amazing time here! Tyler was an extremely gracious host! You couldn’t ask for a more perfect location. We walked everywhere! It was also so nice having a full kitchen! I would highly recommend this place to anyone! Family holiday with 2 couples for a week. All arrangements were professionally handled and communication of information about the condo was provided quickly and accurately. Checking in was a painless process with the unit’s facilities and security well documented and functional. The unit is a great family orientated combination of rooms and fitted with modern appliances as well as excellent WiFi and entertainment units. Would highly recomend this unit to anyone wanting a stress free holiday combined with an excellent location in the Whistler village. We are a family of four, and Tyler’s townhouse was perfect for us. My kids were so excited to see their bunk bed room, and the adults were very pleased to have fast wifi, big tv, huge washing machine, and well equipped kitchen. The walk to the gondola is about 10-15 minutes, and easily walkable carrying our skis. We kept our ski boots in the lockers at Carleton to make the walk even easier. I cannot recommend this condo enough as Tyler was super organized throughout the whole rental process, and gave us detailed information about all aspects of the rental. Thank you so much! We hope to be back at Tyler’s condo again on our next trip to Whistler! This was an amazing condo and we were so glad we booked it. Very spacious, clean and modern. Its smack dab in the Village so short walk to everywhere you could want to go. Check-in was easy with the door code. Tyler was really helpful and organized. Can't wait to come back next year! Our family of 4 really enjoyed our stay at #27 Sunpath. Everything was communicated before our arrival - coding on the door means no house keys (fantastic when skiing). We had heaps of room, all the amenities we could need for washing, cooking, storage, drying boots etc. Tyler thank you for your hospitality, whenever we had a question you directly answered and the entire process was smooth. A great location to the village, Gondola and IGA - we will be back. As an owner-direct rental, recent changes to short term rentals now require us to include federal, provincial and municipal taxes of 15%. Tax of 15% includes: 5% GST (Goods & Services Tax levied by Federal Government of Canada) 8% PST (Provincial Sales Tax levied by Provincial Government of British Columbia) 2% MRDT (Municipal, Regional, & District Taxes levied by the Resort Municipality of Whistler) Parking is always complimentary. We do not charge Parking Fees ($25-$30/ night) like all Whistler Resorts and Hotels do. Our rates are charged in Canadian dollars, which will be displayed to you at the time of payment to secure your booking. Depending on the vacation rental website you are using, they may display our nightly rates in US dollars during your initial search.